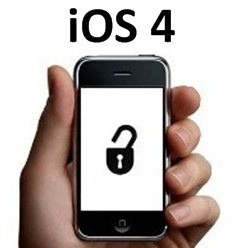 Ultrasn0w or Blacksn0w to Unlock iOS 4.0? We have already seen iOS 4.0 Beta 4 (formerly iPhone OS 4) being successfully jailbroken and unlocked on iPhone 3GS and 3G using ultrasn0w and blacksn0w. But for this final release of iOS 4, both the tools are likely going to get an upgrade soon to make them full compatible. The iPhone Dev Team has already promised a full carrier unlocking solution sometime this month for 05.12.01 baseband. Geohot might also update blacksn0w unlock for this latest firmware, which has already been successfully ported to the Beta 4 of iOS 4. While we don’t have the exact ETA on the release, what we know is that it will be arriving by the end of June, probably right after Apple has shipped first of iPhone 4 devices. In the meantime, If you are on iPhone OS 3.1.3, you can follow our step by step guides to jailbreak iPhone 3GS with Spirit here, iPod touch 3G untethered here, and iPad on OS 3.2 here. You can also use redsn0w 0.9.3, redsn0w 0.9.4, sn0wbreeze, PwnageTool 3.1.5 to jailbreak iPhone and iPod touch. Unlocking can be done using ultrasn0w or blacksn0w. How Long Before iPhone 4 on iOS 4.0 is Jailbroken and Unlocked? So I'm confused. If I have 3.1.3 3Gs and I've used Spirit to jailbreak it, how do I install iOS 4.0 when it comes out? I assume using iTunes will remove the jailbreak or does it? YAYAYAY! we are nearly there! vome on Dev team/Geohot give us some of that good stuff! hey y not just release the unlock and jailbreak for iphone 3gs now. im sure apple know about the expose. N plus no one going to need unlock( mic sim ) so hold it til the 24th? u can install ios 4.0 now if u have a mac. If the Dev Team or Geohot release their jailbreaks/unlocks for OS4 and the updated baseband, this will give Apple the opportunity to update the baseband and the OS before the official launch of the iPhone 4G. We clearly don't want this. does anyone knows if it gonna work with the baseband for the ios4??? 05.13.04? I updated it and it sounds like I might be stuck… anyways to downgrade? hiii lee. can do give me the link 2 download spirit as mentioned above u used it to unlock 3gs 3.1.3.